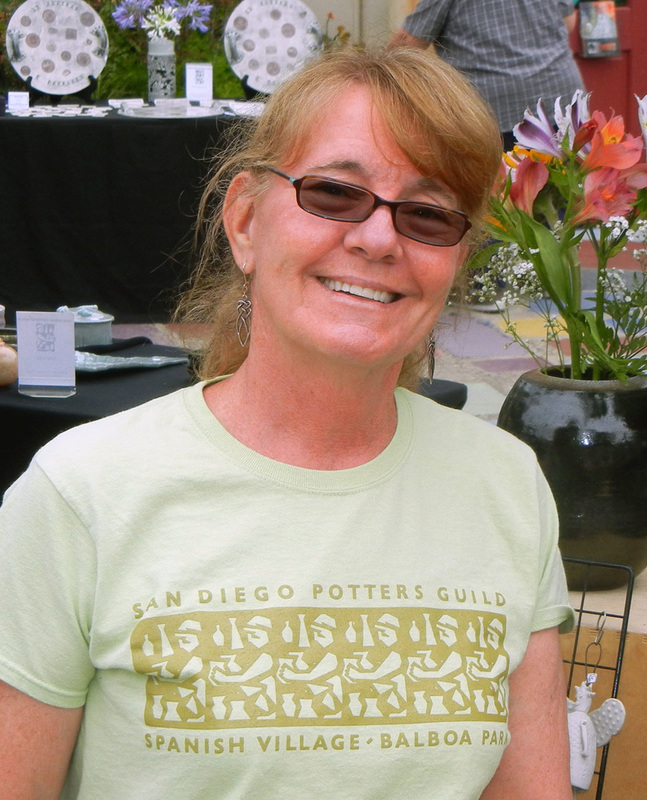 Kathy started working with clay in 1978 after she moved to San Diego from Albany, NY. The UCSD Crafts Center was her inspiration and introduction to clay. She studied with Ron Carlson, Lana Wilson, Kathy Gruzdas and Eric Christian. She continued classes at Grossmont College in 1981 with Les Lawrence. There she did independent work in experimental glazes, colored clay/slips, surface design and salt kiln firing. Experimentation, books, magazines, videos, websites, workshops, and exhibits have all played a part in her ceramics background. Kathy has a backyard studio and fires her 12 cubic feet West Coast kiln in reduction to cone 10. Trying new slip techniques and glazes still takes a lot of her time. She is always looking for something different to incorporate into her work. Her studio time is spent equally throwing on the wheel and hand building. Porcelain, red, white and black stoneware all have a place in her work. Thrown and altered forms are her favorites. She especially enjoys squared covered jars and bottles. The feel of soft leatherhard ware makes this her favorite stage to work with clay. Her recent work can be seen on her Facebook page.